A new wave of dashcams, on show at this week’s Computex expo in Taipei, feature multiple enhancements on first-generation models that will probably be welcomed by law enforcement, insurance companies and the millions of people who browse YouTube looking at some of the amazing scenes captured from the front of a car. A dash cam video of a bear colliding with a car in Russia has gone viral. 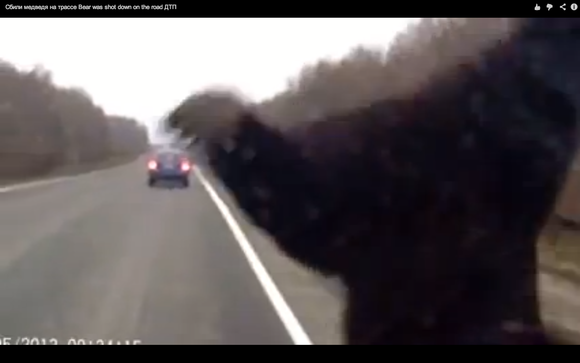 One of the current popular videos is of a May 2013 collision between a bear and a car. The accident, reportedly in Russia, sees the bear hit the front of the car and bounce off the car’s windscreen before rolling several times to the side of the road. Amazingly, the bear jumps up and walks out of frame, apparently none the worse for the collision. The video, and thousands of others like it, are typically shot in 480-line “standard resolution,” but most of the new dashcams on show in Taipei this week offer 720 and 1080-line high definition. The devices work by continually recording video to memory. Typically, the recording time is fairly short, perhaps just 30 minutes, but if the camera is just being used to document an accident it doesn’t need to record hours of travel that lead up to it. Once the memory is full, it starts re-recording over old video so it always contains the most recent half hour of video. Eken, based in China’s electronics manufacturing heartland of Shenzhen, had some of the most advanced dashcams at Computex. Its RS8 offers full 1080P high-definition video recording to a Micro SD card. Also included in the unit is a GPS sensor that records the car’s position and a G sensor that records acceleration and deceleration. The rear has a 2.4-inch LCD panel and the device runs from a USB power source and includes a battery that lasts 30 minutes. The latest HD dash cams are on display at Computex. Taiwan’s HiTop Communications had models that offered 720P high-definition resolution coupled with dual channel recorders. A camera in the front and back of the car could be connected to the device, doubling the amount of video collected. One of the key features of HiTop’s MVRO4 recorder was its low light recording mode, which meant it was easy to see what was happening around the car during recordings at night. Dashcams have become popular in the last year or so thanks to their cheap price—some of the models on show at Computex cost less than $50—and usefulness in documenting accidents and other crime. Matt Chen, a sales specialist at Forward Electronics, said the crowded roads of these countries led to more accidents and that’s helped push adoption of the units. He also said they are gaining popularity in China, but not necessarily because of crowded streets. “People’s idea about the law isn’t very clear there so they have accidents every day,” he said.